Not only is The Elder Scrolls reaching its 25th anniversary this year, The Elder Scrolls Online has just hit its fifth anniversary since its release on PC. To celebrate the occasion, there's an in-game event running right now that offers a variety of rewards for players who take part. Players can begin the event by claiming the free Jubilee Cake Voucher quest starter from the Crown Store. Then they need to find Chef Donolon who will give players a quest to find the ingredients needed to bake the Jubilee Cake 2019 memento. Once a slice of this cake is eaten, players will get a 100% XP buff that will last for two hours, as well as two Event Tickets. After that, players will earn two Event Tickets for the first time they eat a slice of cake each day. Event tickets can be spent on a variety of rewards, including Luminous Indrik mount berries, Outfit Style pages, and the Shimmering Indrik pet. Do your writs! Complete daily crafting writs to earn Gift Boxes that have a chance to also include pages of the Prophet Outfit Style. Clear out Tamriel’s Delves and monsters. Complete daily quests to defeat Delves and World Bosses to earn the Gift Boxes that have a chance to also include pages of the Lyris Titanborn Outfit Style. This includes Delve and World Boss dailies from all of the game’s DLCs and Chapters in addition to the Delve daily offered by the Undaunted (note, not Pledges). Fight your fellow players! Complete Alliance War and Battlegrounds daily quests to earn Gift Boxes that have a chance to also include Abnur Tharn Outfit Style pages. This includes Cyrodiil Town dailies, all Board missions, the Cyrodiil dailies, the Battlegrounds dailies, and Imperial City dailies. Put your team to the test in Dungeons and Trials. Complete daily quests for any of Tamriel’s Dungeons and Trials to earn Gift Boxes that have a chance to include the Sai Sahan Outfit Style pages. Your choice! Complete any of the daily quests found in Tamriel to earn Gift Boxes that can contain any of the above rewards (all four unique styles). This is your opportunity to catch up and choose your own adventure! The 5th anniversary event is running from now until 10:00AM EDT on May 9th. "Elsweyr" will arrive a month later on June 4th. We've got the full list of The Elder Scrolls Online: Tamriel Unlimited achievements - check the list for guides to unlocking them. 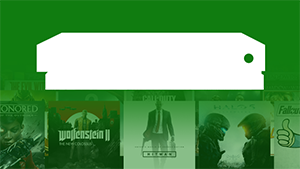 Check out our Best Xbox One RPGs Available in 2019 article for a compilation of other great games in this genre.